Most pastors I’ve met, maybe two out of three, are in the first group. We want to avoid any appearance of greed because we’ve seen how that can undermine the cause of Christ. But we back off too far. The second group of pastors may get a lot of press for their excesses, but they make up a very small subsection of pastors. Easily less than five percent of us talk about money obsessively. Maybe less than one percent. The final group of pastors, maybe one-third of the total, have found a healthy balance. They know that we need to talk about money in the same biblical way that we talk about prayer, ethics, compassion, and every other part of Christian life. We need to talk about money in the same biblical way that we talk about prayer, ethics, compassion, and every other part of Christian life. I used to be in the first group of pastors. I hated talking about money. So I did it seldom, poorly and apologetically. Not exactly a recipe for a financially healthy church. In the last few years I have been able to turn a corner on that. Since I no longer dread teaching on finances, I’m able to do it in a more healthy, balanced, biblical way. It’s become a far more joyful experience, both for me and for the congregation. So, how did this change come about? How did I move from the majority who dread the “money talk” to the minority who treat it like any other aspect of our lives? In the last few years, our church has experienced what a whole lot of churches are going through lately. Money is getting tighter. In a recent five-year stretch we saw our church giving fall every year, until our annual income was barely two-thirds of what it had been, even though every other indicator of health is on the rise. We have more people, more leaders, and more volunteers involved in more passionate worship, stronger ministry and deeper discipleship than ever. But we have a lot of young people, and they don’t make as much money as the older generation. 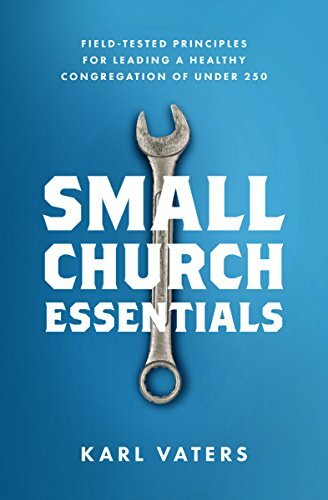 So I pulled the trigger and announced a stewardship series. As I was preparing for it through study and prayer, I paused to think about some of the other recent challenges our church had faced. Why I was able to address other challenges with a motivating sense of urgency, but talking about a financial need was filling me with dread?